(Newser) – A 31-year-old man was charged Tuesday with second-degree homicide after he allegedly drove over two young men at a Washington campground, one of whom later died. 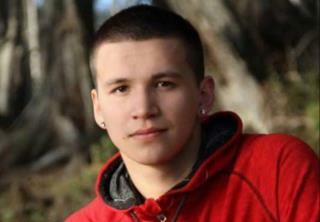 But the Quinault Indian Nation believes he should also be charged with a hate crime. Based on a firsthand account from a "tribal youth," the Quinault Indian Nation says "the driver was screaming racial slurs and war whoops when he ran over the two tribal members" around 1:30am Saturday, reports the Seattle Times. Grays Harbor County Police say a white pickup truck drove into Donkey Creek Campground near Hoquiam and began doing doughnuts. After campers tried to intervene—a rock was possibly thrown at the truck—witnesses claimed the driver tried to "run them down," police tell Q13. Sounds like the cops don't know what a racial epithet sounds like. More nonsense from people trying to drum up the "Trump led to a rise in hate crime" rhetoric. The kid looks as white as they come. Every murder is a hate crime.